Why We Chinese Community Opposes Kate Gallego for Mayor? 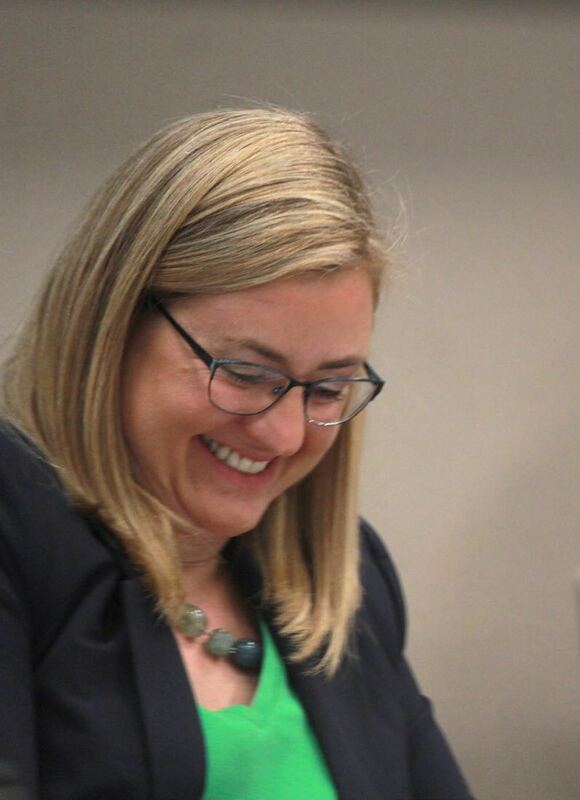 Kate Gallego was the councilwoman of District 8 of Phoenix from 2013 to 2018. She resigned from the City Council in August 2018 to run for the mayor of Phoenix. Prior to 2017, Gallego had been a proud supporter and advocate of the Phoenix Chinese Cultural Center which is located in her district. In 2015, Gallego even made a video to promote the Chinese Cultural Center as the 12th fun place to visit in Phoenix and this video was put on the City’s website. In the summer of 2017, Scottsdale based True North Companies acquired 95 units of the Phoenix Chinese Cultural Center (the rest 5 units were owned by a Chinese Restaurant, Szechwan Palace). Despite the fact that it is not the sole owner of the Center (a co-owner to be exact), True North announced that it would remove all Chinese elements from the entire Center to make it a modern office building so that its branch companies can be headquartered. This decision of demolition and ignorance of the other Chinese owner’s rights immediately triggered community-wide protests. Various Chinese organizations have since united and fought vigorously trying to have the iconic Cultural Center saved. Being the councilwoman of the district where the embattled Chinese Cultural Center is located, and clearly knowing the conflicts of interest, Gallego had repeatedly accepted campaign donations from True North Companies since last year. Records show top five executives and partners of True North had donated more than $75,000 to Gallego in past 15 months. True North had never donated any money to any Phoenix city councilmembers prior to 2017. 3). 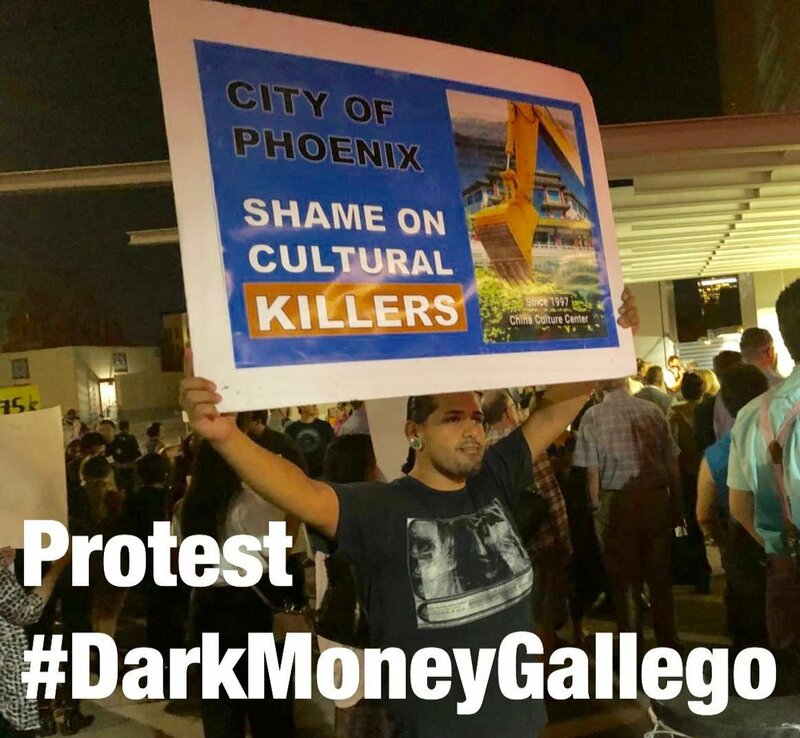 When True North forcefully kicked a small Chinese business out of the Center by repeatedly cutting off their phone line and power line, the City instructed the Phoenix Police Department to “stay away” and “not to get involved” - Gallego showed us what “Dirty Money” can buy in our City Hall. $75,000 corporate money has bought Gallego flipped from a Chinese Cultural Center lover to a Chinese Cultural Center killer. The credibility of our City Hall is in jeopardy. The angry Chinese community has brought the City of Phoenix to court. This lawsuit could potentially cost the City millions of dollars, of tax payer’s money. Our city deserves to have a clean City Hall, we demand each councilmember disclose their source of funding. We demand an investigation on whether there was a collusion with Gallego and True North Companies. Our city deserves to have a clean mayor, we demand Kate Gallego step down from the mayor race.